Never7: The End of Infinity is a visual novel for the PC. 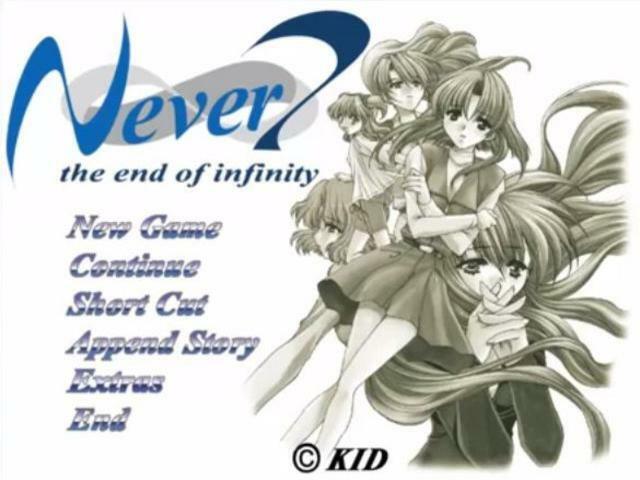 Here is a 100% English release for the game Never7 - The End of Infinity for the PC. 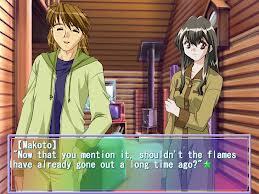 SUMMARY You play as Makoto, a student who never attends the lectures at the school. As a punishment, you have to attend an extra seminar on an island with other classmates. However, when you arrive on the island, strange thing start happening. A girl is found dead on April 6th, with a small bell in her hand. Immediately after that, you found yourself in the bed and see the date – April 1st! Was the vision of the girl just a dream, or do you possess a power to predict events? This is what you will have to find out, as a series of strange deaths make your seminar much more suspenseful that you have thought. The patch is too large to host on here and it used to be available in the official website linked below, however as Lemnisca Translations is now involved in official game translations they’ve removed all their download links to the fan-translations. Both the disc and download version are supported.